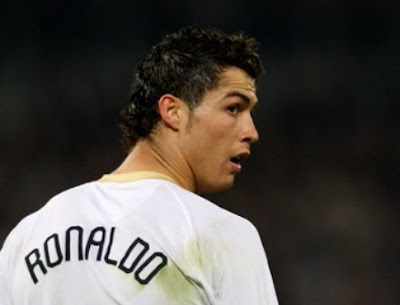 Tea O Ais Ikat Tepi: Cristiano Ronaldo Transfer 80m Pound?? The biggest transfer in the history of football sees the World Footballer of the Year 08 Cristiano Ronaldo move to Real Madrid from Manchester United for a record 80m Pounds. The glittering six year stay at Old Trafford has finally come to an end and Cristiano Ronaldo's dream to play in Spain will be a reality next season. Sir Alex Ferguson tried his best to persuade the star winger to stay at United but his heart was not at Old Trafford. He yearned for more challenges, not with United but with Real Madrid. The transfer sees Ronaldo team up with Kaka at the Santiago Bernebau, what is seen to be the start of another era of galacticos. Real Madrid have smashed their own transfer record and have again brought a world class player to their team. This move was not being regarded as possible after Sir Alex Fergusons statement that "he would not sell that mob a virus". However, this move is another addition to the list of Manchester United players moving to Real Madrid with Ruud Van Nistelrooy, Gabriel Heinze and David Beckham among others.